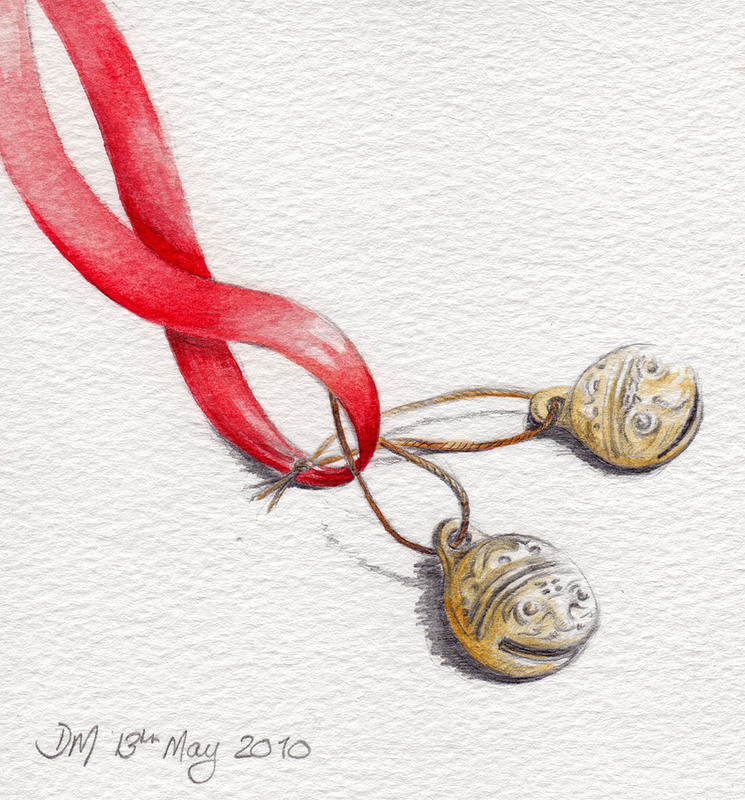 Love the bells, they are so cute. I must say, all the drawings are really nice and the rope I like it just as is. Well done. Each of your paintings is more beautiful than the last. Keep it up. I love visiting your blog! I could totally hear these! ^^ We like to tie them around pet's neck so that whenever they come to you, they bring along a lot of luck. And of course it doesn't help that we like to name our dogs "Lucky"